A lot has changed in nearly seven decades with the evolution of dentistry and we’re currently experiencing another massive forward step in the form of Computer Guided Implants. Currently, when you get implants done, you get an x-ray and the dentist plots the procedure, but by and large they are kind of eyeballing it for where they cut, where they drill, etc. It’s still the popular way and it’s not a bad technique…it’s simply that there’s a better technique available now. Computer Guided is the modern approach to implants with plenty of benefits. A 3D scan of the mouth is done, showing the doctor everything in a high-tech model that’s used to map how to place the implants. This builds your mouth virtually ensuring it's perfect before the procedure begins. From there, advanced technology is used to perfectly drill the implants. Through this, the patient experiences a faster and safer procedure with minimal bleeding or swelling, and they can be back to work in a few days. As this is cutting edge technology, not all dentists offer this as the training and the technology is expensive and there’s a large time investment to be able to perform it properly. Dental Implants replace one or more missing or failing teeth and can be used to support a single tooth, multiple teeth, entire rows of fixed teeth (called arches), or implant-supported dentures (removable teeth). The dental implant is the artificial root for your tooth. They are inert, medical-grade titanium fixtures that are designed to permanently fuse to your jawbone. The number of dental implants used reflects each different patient. The abutment joins or connects the dental implant to the crown (or other restoration). The crown is the visible part of the dental implant and can be considered the “tooth”. Most crowns are made of porcelain (with a base of metal or zirconia) and should be designed to improve both the aesthetic aspect of the “smile” and the functional aspect of the “bite”. Implants, or artificial roots, can be used to replace the natural roots of missing or failing teeth in a permanent way that’s easy to maintain and can be cleaned and cared for easily. Implants are similar to your teeth’s natural roots, and provide the foundation for natural looking replacement teeth. They’re made of biocompatible titanium, a material that is not rejected by the human body. Implants work like natural teeth and stimulate the jawbone to stabilize and maintain bone volume and density. Implant solutions avoid the problems associated with dentures such as gum inflammation, chewing difficulties, and social embarrassment. They’re also fixed and supported by bone, compared to removable dentures that sit on your gums. Implants can be quickly & efficiently placed using advanced minimally invasive techniques. This advanced and revolutionary advancement in dental Implant placement surgery are the safest, most precise and least invasive method of placing implants. Single or several implants can be placed with virtually no bleeding, swelling or stitches and minimal post treatment discomfort or risk of infection. They are based on a 3D Cone Beam CT scan, which allows for the implants to be planned “virtually” into the CT image. A surgical guide is made that allows for the placement of single or multiple implants with minimally invasive surgery. Any implant solution that you are seeking, from a single implant to a complete bite reconstruction, will be less invasive and easier for you if computer–guided implant placement is utilized. Does the dentist have the specialized training necessary to place dental implants and perform all aspects of treatment? How many patients has the dentist treated with dental implants? Can the dentist provide referrals? Is the implant process handled by one highly trained dentist in one location, or by different practitioners in multiple locations? Is the facility equipped (including 3DCT scanner) and licensed to provide all aspects of your care and offer you the amazing benefits of a computer-guided solution? Do they have a thoroughly organized and efficient treatment plan that shrinks the length of the treatment time and minimizes the number of visits? Do they have the technology to perform minimally invasive placement techniques that greatly reduce pain, bleeding, and discomfort? 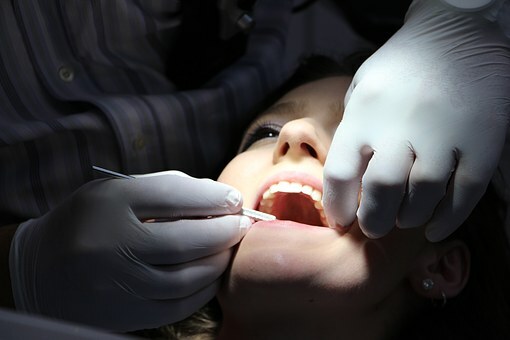 Does the dentist have experience in other related areas of dentistry that can have a significant impact on the dental implant treatment (specifically cosmetic dentistry, neuromuscular dentistry, and complete bite reconstruction)? Do your homework, research and due diligence to become an educated consumer. Make an informed decision that is best for your particular situation, especially when the result can dramatically impact your health. Click here to learn more about Vitality Dentistry. He was one of the first in the world to be trained in performing computer-guided dental implants, He was also the first dentist in North America to implement CEREC technology (used to create porcelain restorations that are available to patients in a single visit).